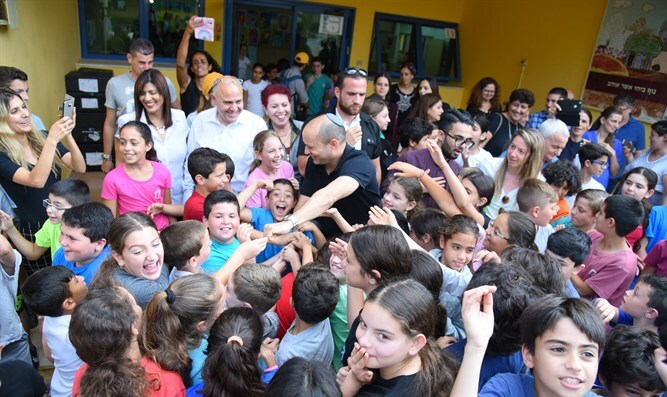 Education Minister and Political-Security Cabinet member Naftali Bennett this morning visited a school in the Gaza area. "My perception of the battle with Gaza is to stand firm against Hamas and to give strong backing to Gaza area residents. That's exactly what we're doing," Bennett said. "It wasn't an easy night for the residents, when between midnight and early morning there was a long succession of Red Alert sirens and rushing to security rooms. I also spent the night in a family's home in one of the towns and I experienced this white night myself. It's not easy, but three-quarters of the students already arrived to school at 9:15, and I hope to see the rest of them soon." He says the Gaza escalation is not coincidental and is not local. "The brain is Iran and hands are Hamas. The State of Israel is in a focused and consistent campaign against the head of the octopus in Iran. That octopus is maneuvering its tentacles in Lebanon, Syria, and Gaza to harm the State of Israel. "Because we're conducting an economic, political, and military campaign against Iran, Iran is trying to divert our attention and provoke us here in Gaza wielding one of the tentacles. While we provide security to Gaza area residents and while we hit Hamas in Gaza, we mustn't drop the ball. We mustn't take our eyes off the main goal. The main goal is Iran, and as soon as we take care of the octopus' head we'll already see a much better situation vis-à-vis the octopus' tentacles. 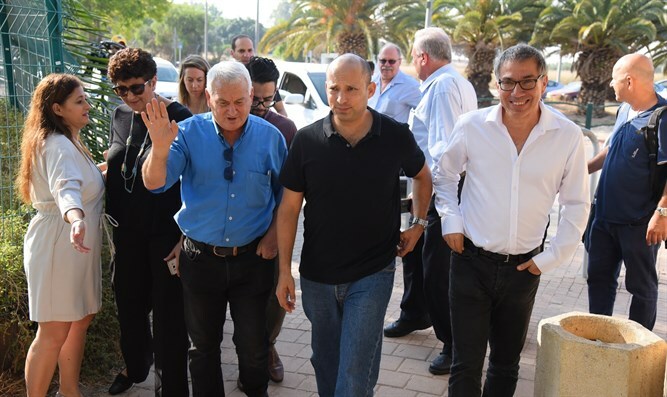 "I want to give full backing to the Chief of Staff, to the IDF, and to the defense establishment for their responsible, balanced, and proper conduct for Israel's security," added Bennett.